Today only, while supplies last, get this Emerald - 5.2L Digital Air Fryer for ONLY $54.99 (Retail $109.99)! Fry food healthily with this 5.2L Emerald digital air fryer. It has a two-hour keep-warm function, so food stays crispy until mealtime, and the built-in timer provides automatic shutoff once the set cooking time is done. 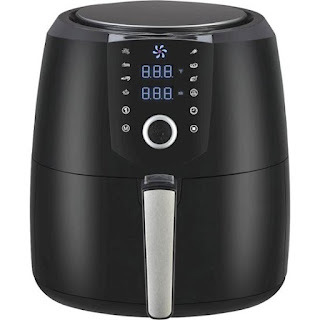 This 1800W Emerald digital air fryer has an adjustable temperature of 180-400 degrees F to suit various recipes.